1. Evaluate your current online feedback strategy, ask: Can visitors quickly and easily find the information they need? Would adding features such as videos or images enhance their online experience? How are we collecting customer feedback? Do we create an effective dialogue with our potential and existing customers? Do we invite feedback? Is it short and simple? Do we provide easy ways to get customer feedback quickly? 2. Convey to your customers that you appreciate their interest in your organization and business. Let them know that collecting customer feedback from them will help to improve your products, services and the website. As a result, this reassures your customer and helps increase online engagement. 3. If you don’t have the budget for professional usability testing or the time to conduct in-depth surveys, use an online customer portal. 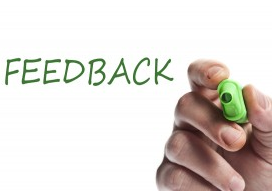 Collecting customer feedback online is a cost-effective. and generally easy method for centralizing information. 4. Software can help. Software for collecting customer feedback is inexpensive and can automate the work of several analysts or other researchers. Good software not only collects feedback, but also provides the tools for anaysing it, organizing it, communicating about it, and taking action on it. OneDesk’s customer portal will enable you to directly gather feedback from customers. This portal can either be embedded in your website or sent to your customer as an individual link. With OneDesk you get an unlimited number of customers and customer feedback in all our plans. Setting it up on your website is only a matter of a couple of minutes for your webmaster. We realize not everyone is comfortable with putting things on their website, so please watch this video below to learn more, or just ask us to help you out.